How old do you think these graphic novel super heroes are? 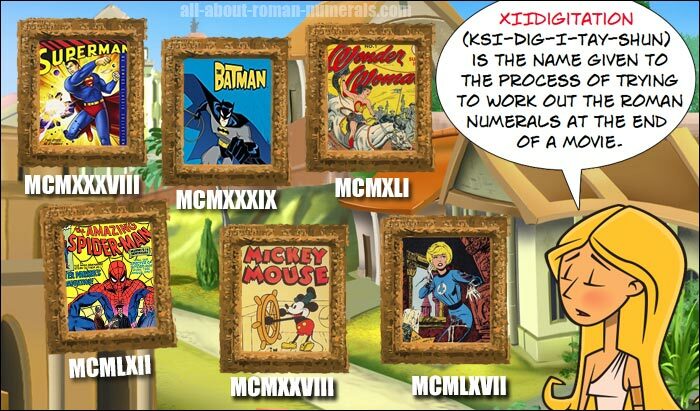 Take a guess and then work it out by using the Roman numerals below each character. I think you will be surprised.